i love change. i crave new adventures and all the challenges and stretching that comes with them. so, when God decided to have me plant at one church for so long , (13 and 1/2 years and counting) i questioned His plan for me. of course there are gifts each day in children’s ministry, but this past year i was blown away by the abundant blessings he gave me through a dozen precious young ladies. in seeking a place to serve as a “volunteer” in my own church, God brought the opportunity for me to lead a senior high small group of youth girls. this wasn’t just any group of young ladies, this was a group of girls that were toddlers when i began children’s ministry as a eager, yet clueless college grad with no experience. as they grew older, i grew up in children’s ministry. i was constantly filled with joy and awe as i stood back and recounted what all God had done in their lives since they had been in the children’s ministry. this was such a reminder that our God is an active God, longing to lead us to His purpose and destiny for our lives. He is a life shaper and it is so encouraging to see His work in young lives. these girls taught me that passionate faith wasn’t always perfect faith. i could see their hearts for Jesus through their mistakes, questions, and sometimes failures. they longed not to be perfect people, but to be obedient to the God that had captured their hearts. with the eclectic group of girls in our small group there was never a shortage of fun. these girls reminded me to not take myself so seriously and throw my head back and laugh once in a while. one of the sweetest lessons i learned through time in the Word with these girls was to NEVER underestimate the power of scripture. you see, i think so many times as children’s leaders we think our neat tricks or creative lessons can change lives, but the power is found in the Word of God that is alive and active. it was scripture that i saw convicting hearts of how they talked and joked with one another. it was scripture that challenged them to return to God. God’s Truth inspired action in their daily walks. it was the Word of God that encouraged them through reminding them that we have a God that loves us far beyond our comprehension and can do abundantly more than we hope or imagine. i have spent many hours at the church in the last 13 1/2 years, but i must admit one of my favorite times was the hour or two i would spend with the small group of youth women and the Word of God. maybe i could have had other “adventures” in the last 13+, but i don’t think any could have blessed and touched my life the way God did through the best small group of girls ever. our time is now over and some are still close as others are spread at college campuses across the south. while i am getting use to doing ministry without the core of girls that have always been present, i am blown away at how they are planting themselves firmly in Christ in this new chapter in their stories. 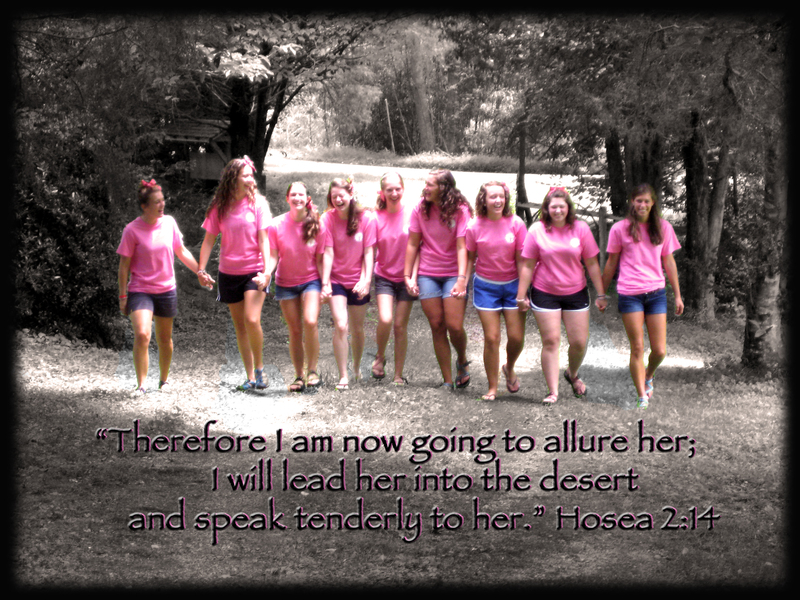 i have no doubt my life and walk with Christ will continue to be impacted by these girls i consider my own. i am grateful to a God that has plans, purposes, and adventures wilder than i can imagine. sometimes, i just need to remain still enough to receive them. That’s what I want my small group to be like.